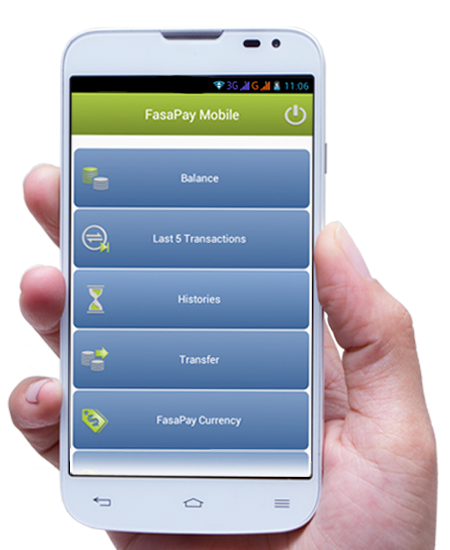 Download free FasaPay Mobile Application Android®. 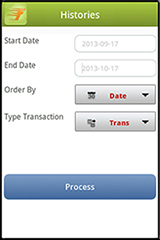 FasaPay Mobile provides convenience to users to check balances and transfer faster and easier. 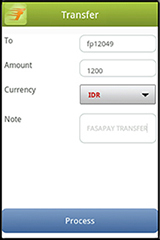 This application is equipped with features that help to see the details of the transaction, which also features the mutations that provide transaction information that has been made ​​based on a certain period or by a fifth last transaction, and features that inform the exchange rate of the US Dollar Indonesian Rupiah. Send funds, deposit funds and withdraw can be done easily at your fingertips anytime and anywhere. Checking account balance in FasaPay any time you need. Easily and clearly be seen on the screen of your phone. See the history of transactions ever done. Specify the date you want to view history and can easily be seen clearly. 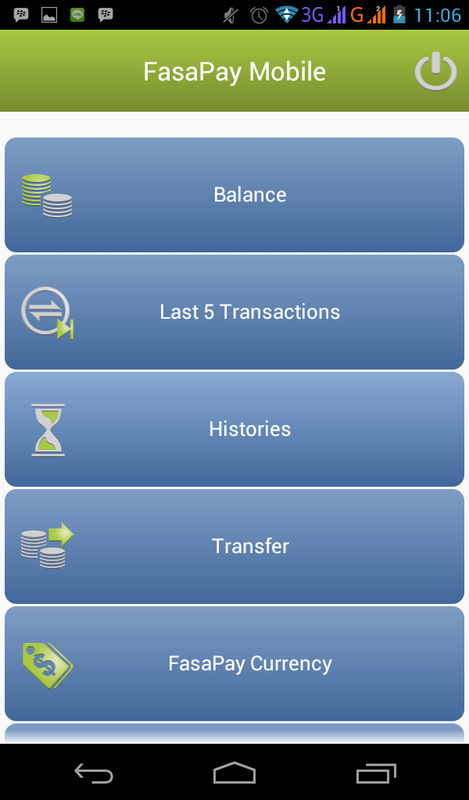 You can see the buying and selling currency FasaPay through the Mobile Application. 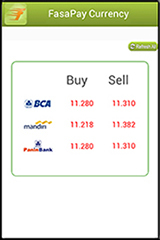 Buying and selling currency are available in this application is of BCA, Mandiri Bank and Panin Bank. Please make sure your status member is Active. To check your status member, see here. 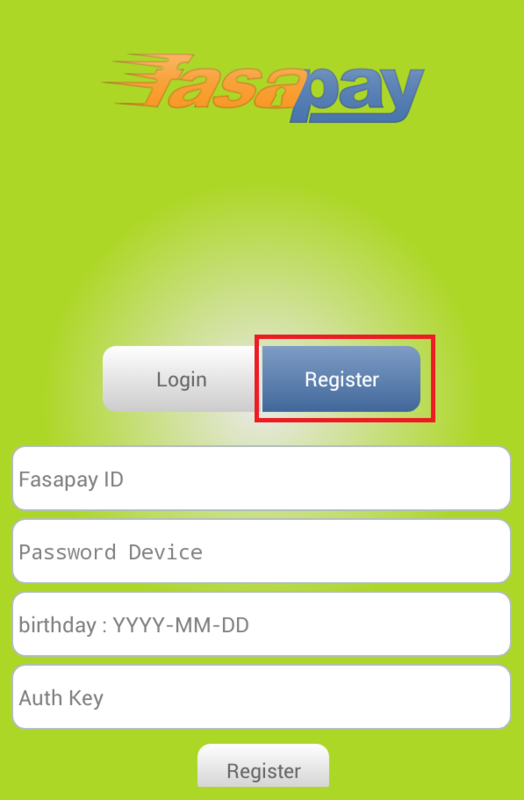 For Registered member, they cant use FasaPay Android. 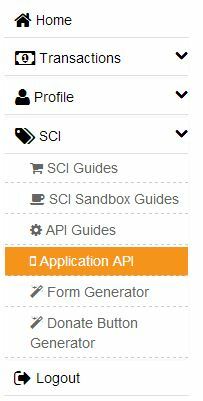 Click Authorize New App, to add a new device. Fill your device name. Click Create. Device successfully created. Save the AUTH_KEY, it will needed later in FasaPay Android. Install FasaPay Android. Wait the process until it finish. Fill the form according to your FasaPay account. 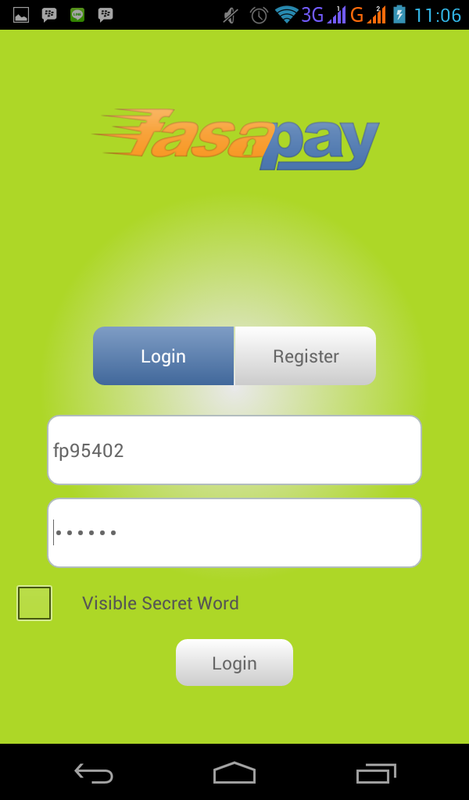 For Password device column,this Password will be use when login in FasaPay Android. Input the AUTH_KEY you got from your account. Click Register button. Wait the process until appear a message "Register is Success. Press OK to continue login.."
Choose menu Login and fill your account number and your password device. Login. 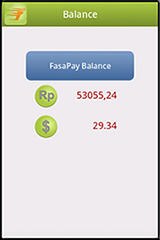 Congratulation, now you can use FasaPay Android. 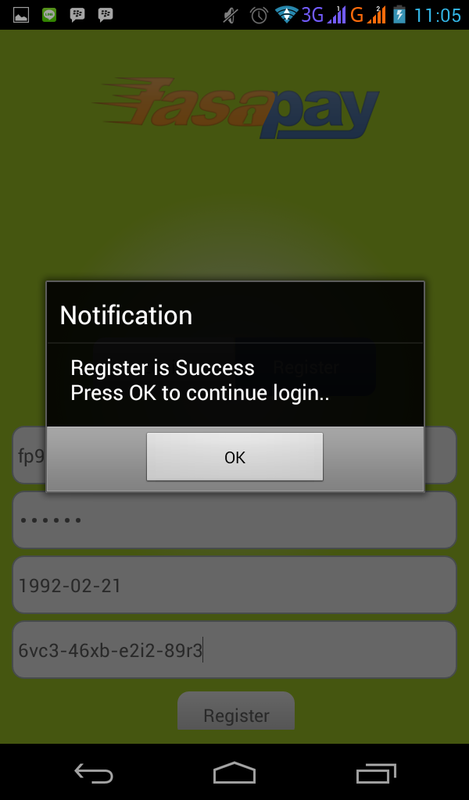 One AUTH_KEY for one Android device. Password device may different with password account. If you lose your Android, to secure your account, you delete the AUTH_KEY in your member area then other person can not use your FasaPay Android.